Tommy Williams rips through an Alka Seltzer packet, dropping the antacids into a bucket of water teeming with juvenile steelhead trout. He has several minutes to work before the anesthetizing effect wears off and the fish wake up. 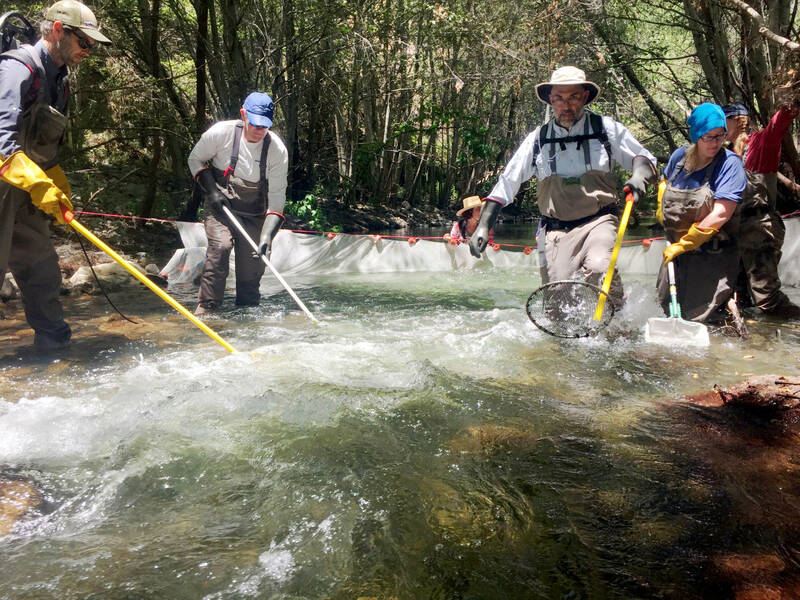 During that brief interval, the NOAA fisheries biologist and his team will measure, weigh and mark the steelhead before sliding them back into the Carmel River. "A beautiful one!" Williams exclaims, as a slippery silver steelhead spasms off the measuring table and slaps into this reporter's leg before writhing in the sand. "Look at those pinks and grays," he says, scooping up the fish and placing it on a measuring board. 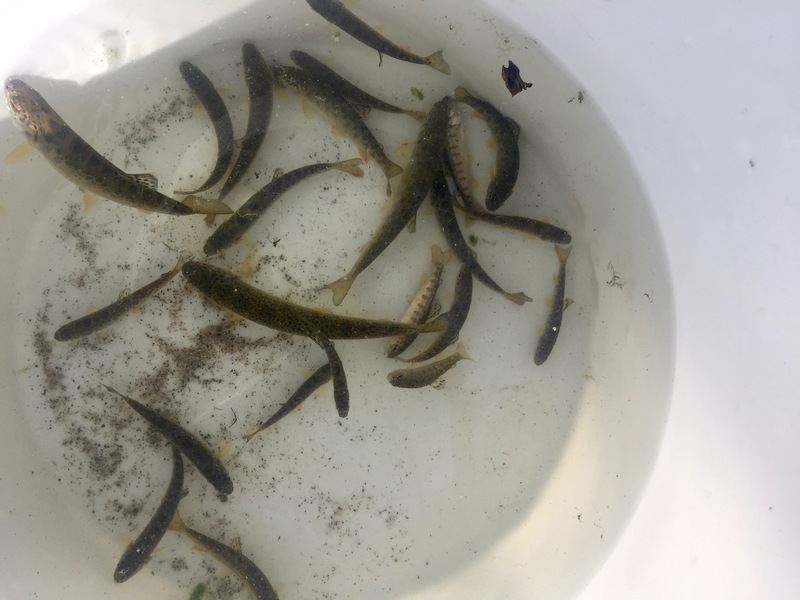 Williams is excited not just because he's a fish enthusiast, but because this federally protected species probably couldn't have survived here two years ago, before the San Clemente dam was removed. The landscape was blanketed in silt, devoid of the large rocks, boulders, fallen trees and side channels that steelhead need. "If areas upstream are not diverse," says Williams, "it can very well press the population to extinction." An aging, 106-foot tall concrete dam blocked the steelhead's path upstream. The San Clemente Dam was 95 percent full of sediment and at risk for failure during an earthquake, which would have sent more than a million tons of sediment and debris hurling toward 1,500 structures— including homes—downstream. When bulldozers crumbled the 94-year-old structure in 2015, it became the largest dam removal project in California history. Removing the dam served a dual purpose: to dislodge a seismic hazard and restore the landscape, allowing endangered steelhead, lamprey and endangered red-legged frogs to return. "Things look good. Sometimes we get three fish, four fish, five fish—and we had 80 fish there," says Williams after tallying up the Alka Seltzer-stunned fish. "So that was impressive." The winter weather definitely helped. Epic January rains flooded the banks of the Carmel River and sped up the recovery process by pushing boulders, black cottonwood trees and tons of sediment downstream. The floods changed the shape of the snaking river and provided richer, more diverse habitat for the fish. "We’re watching a huge reset of this system, with the dam being removed, and having high flows and watching recovery from a fire, and watching it come back from a drought," says Williams. A trout population that numbered 1,350 in 1965 dwindled to 249 in 2013. 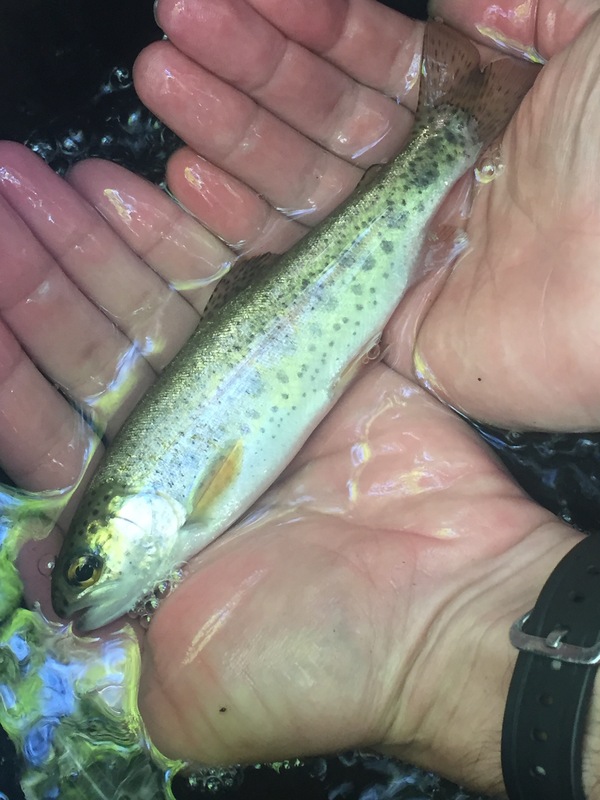 It is a major reversal of fortune for steelhead populations since the drought, which was so bad in 2014 that the Carmel River didn’t reach the ocean for several months. So far, the river is healthier, but scientists say steelhead populations need to increase further so they can spread out and help repopulate nearby streams. "We have built that into our conservation plans," says Williams, "you can’t just circle the wagons around one watershed or these populations will go extinct." 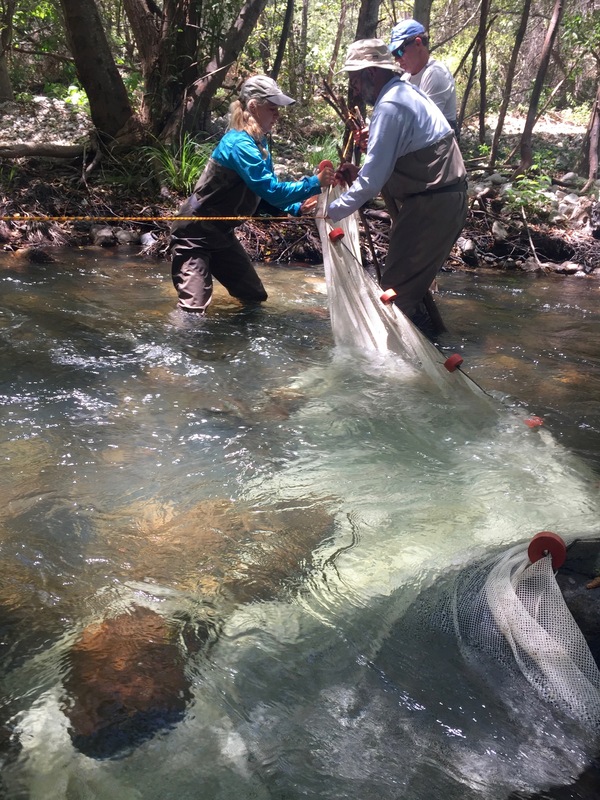 Williams and his team hope hundreds of adult steelhead will return to the Carmel River in the future. They hope the restoration project will be like the 2011 removal of the Elwha River's two dams—Elwha and Glines Canyon—on the Northern Washington peninsula. That was the largest dam removal project in U.S. history and an ecological success. "The fish came right back," recalls Lynda Mapes, an environment reporter for The Seattle Times. "It was amazing to see how quickly that happened. I mean, within literally a day of the lower dam coming out you had fish cruising into the Olympic National Park for the first time in 100 years." Mapes wrote “Elwha: A River Reborn” about wildlife recovering after the dam came down. "I mean, you provide habitat—suitable habitat—for plants or an animal or an insect and you’re gonna get it. And indeed, here come the fish and here come the various animals that rely on the fish." Steelhead trout collected from the Carmel River this summer. Once they're big enough, steelhead in the Carmel River will swim downriver, out into the Pacific and come back to the same spot 3-5 years later. That's when biologists can get a more exact count on the burgeoning population. "Where we hope to start seeing a noticeable difference is in 2020 and beyond," he says. Williams' insights from the Carmel River are already informing his next project—the slated demolition of four hydroelectric dams on the Klamath River near the California-Oregon border. The Klamath River project would surpass San Clemente Dam as the largest dam removal in state history. On the Carmel River, steelhead finally have pools of water to rest in and boulders to hide under. After nearly 100 years, the river is slowing shifting back into a version of its former self.